With the brains at Drs. Zeff and Wilson - Plastic Surgery, we are thrilled to announce our new skincare line, SkinCeuticals. We've overhauled our facials and peels and we know you'll be happy with the results you'll see when you try these products. 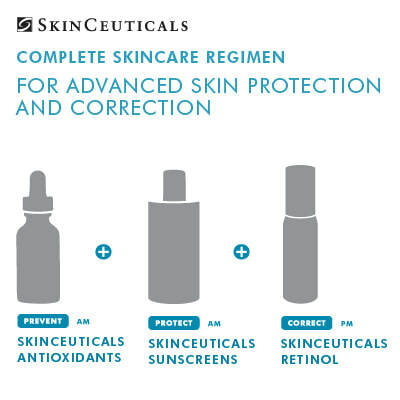 Backed by science, SkinCeuticals is known as the Antioxidant Authority, protecting our skin from free radicals that feed the aging process. Book a facial or peel today to experience these products. Or next time you're in the shop, ask your stylist why they fell in love with this line!